Intervertebral disc herniation (IDH) can cause back pain and/or radiculopathy and accounts for a significant portion of patients having spinal surgery in the USA. One of the most impactful and well-executed randomized trials to study diagnosis, treatments, and outcomes in patients with three commonly treated spinal conditions was the Spine Patient Outcomes Research Trial (SPORT). This study and the subsequent data analyses have resulted in numerous publications related to IDH. The purpose of this review is to summarize SPORT publications with IDH results to better understand what we have learned from this important landmark trial. Publications utilizing SPORT data that reported findings related to IDH patients were identified from Medline, PubMed, and PubMed Central. The primary findings pertaining to IDH were summarized. There were 25 studies identified reporting findings related to IDH from the SPORT data published between 2004 and 2017. 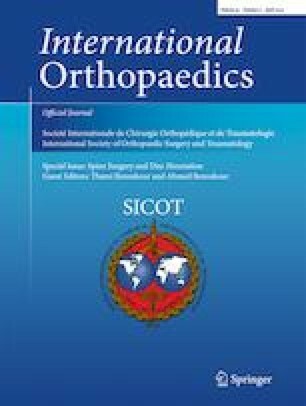 Publications in the following areas were summarized: epidemiology and baseline patient characteristics (1), treatment preferences and expectations (2), radiological and MRI (3), primary study objectives at two years (2), four years (1) and eight years (1), subgroup analyses (13), cost-effectiveness (1), and reherniation (1). This report reviewed the current state of SPORT publications related to IDH to identify and summarize what we have learned about diagnosis, patient characteristics, treatments, outcomes, and cost-effectiveness in patients with lumbar disc herniations. Many important findings are now published from this robust trial’s data. Clinicians should incorporate these results into their clinical decision-making and during counseling patients presenting with lumbar disc herniations.